Here’s the latest on the painting Great American Ball Park at Night. This painting was done as a commission piece for a friend. A huge thank you to Steve Ziegelmeyer for allowing me to use one of his super awesome photos of the Cincinnati Skyline as a reference for this masterpiece. 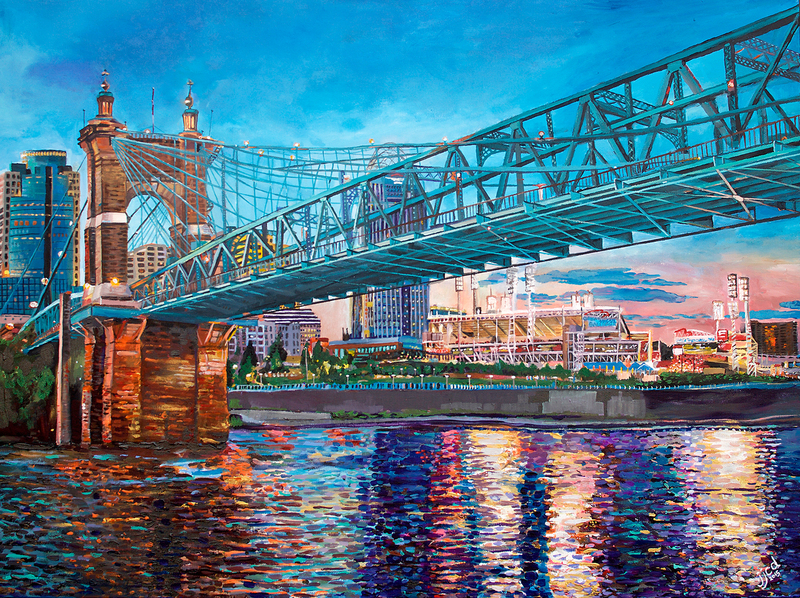 This entry was posted in Uncategorized and tagged art, Art of Cincinnati, Art Team Cincinnati, artist, artist that paint cincinnati, Artists that paint Cincinnati, artwork, Baseball Stadium Painting, Bluffs View Cincinnati Skyline, Cincinnati, Cincinnati Art, Cincinnati Artist, Cincinnati Artwork, Cincinnati Fine Art, cincinnati fine artist, cincinnati fine artist jeff johns, cincinnati Jeff Johns, Cincinnati Painting, Cincinnati Paintings, Cincinnati Photography, Cincinnati Skyline, Cincinnati Skyline Art, Cincinnati skyline painting, Cincinnati Skyline Paintings, Cincinnati Skylines, City Art, City Artwork, City Painting, Colin Daugherty Fine Artist, Colin Daughtery and Jeff Johns, Creative Director Jeff Johns, creativejefferyj, fine art by jeff johns, Great American Ball Park, Jeff Johns Art, jeff johns artist, Jeff Johns Artwork, jeff johns cincinnati, Jeff Johns Cincinnati Fine Artist, jeff johns creative director, Painting of Cities, Painting of the CincinnatiSkyline, Painting of the Great American Ball Park by jefferyjohns. Bookmark the permalink.